Microsoft will soon allow customers of Internet business exchange (IBX) provider Equinix to directly connect servers into the Windows Azure network, which could speed throughput of hybrid cloud applications. Equinix has a number of customers who don't want to use the Internet to access Azure, said Chris Sharp, Equinix general manager for cloud services. "They want high-throughput, LAN-centered connectivity," he said. The partnership with Microsoft "allows customers to connect to the Azure platform in key Equinix data center locations," Sharp said. The service will be offered to select customers as a beta test in the weeks to come. No word was given on when the service would be commercially available to all Equinix's customers. Equinix is an interconnection platform for ISPs (Internet service providers), other major networking companies and large enterprises. The company has more than 100 data centers around the world, offering high-speed connections for more than 950 networks among the company's 4,000 enterprise customers. "We've had lots of enterprises come to us and say they'd like high-throughput access to" Azure, Sharp said. For an organization that keeps some of its servers within Equinix's data centers, the new offering will allow them to directly connect to Azure servers, some of which are also located in Equinix data centers. Equinix will use a fiber-based cross connect to connect the customer and Azure, using LAN (Local Area Network) protocols. "The major differentiator for our customers is that they have that LAN speed connectivity between their cloud services and internal applications," Sharp said. "Customers can stand up their infrastructure right next to the Azure cloud." A cross connect could actually be cheaper than provisioning a wide area network (WAN) from the Equinix facility to an Azure data center. Typically, an Equinix cross connect would cost approximately $350 a month, though prices vary by market and region. The customer would also benefit by having, in effect, a private line to Windows Azure, instead of one that would be routed through the Internet and, as a result, vary in performance due to the amount of other traffic on the Internet. 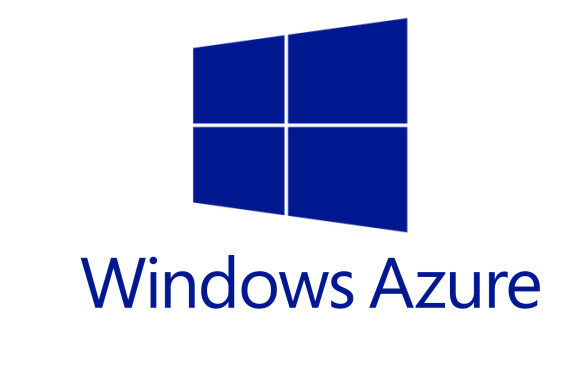 "What [Equinix users] wanted was to have Azure as another node on their network, without using the public Internet," said Steven Martin, Microsoft general manager for Azure marketing and operations. This is not the first partnership that Microsoft has recently forged with a major network provider to provide faster gateways to Azure. Last month, Microsoft paired with AT&T to offer MPLS (multi-protocol label switching) VPN (virtual private networking) to its cloud platform. "We have a number of enterprise customers, even in the startup space, for whom low latency and premium network connectivity is important," Martin said. Gaming platforms, providers of mobile apps, and those who maintain hybrid cloud applications all require the different parts of their multitier applications to communicate with each other as quickly as possible, Martin said. Equinix also struck a similar agreement for Amazon Web Services (AWS) in May, allowing users to connect directly with AWS within Equinix's Seattle data centers.